The Lockheed Martin Skunk Works has revealed plans for a next-generation, high-altitude intelligence, surveillance and reconnaissance (ISR) platform that could replace the U-2 and Global Hawk from 2025. 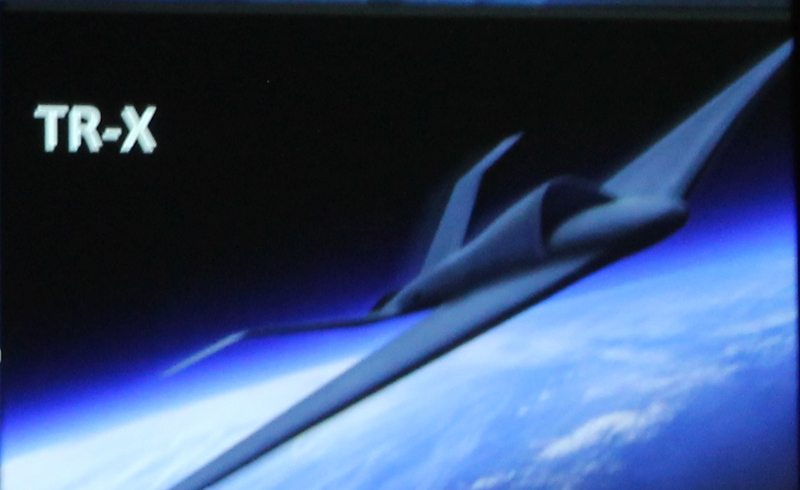 The company has launched an internally-funded study of a stealthy jet designated the TR-X that might also carry alternative payloads such as a high-energy laser, or for electronic warfare. Lockheed Martin (LM) believes that a U.S. requirement for the TR-X could emerge within the next 18 months. In a media briefing on the U-2 in Palmdale, CA last month, LM officials made passing reference to the project, labeling it the RQ-X, suggesting an unmanned, purely ISR platform. They have since changed the designation to TR-X for ‘tactical reconnaissance’, reflecting the potential multi-mission capability, and optional manning. However, an LM official told AIN that, “we’re leaning away from optional manning, since by the time the TR-X is available, the FAA should have resolved the current issues on the airspace integration of UAVs." Incidentally, the U-2 was redesignated TR-1 in the 1980s, but this cosmetic re-branding was subsequently dropped. The TR-X would feature some key characteristics of today’s U-2, such as modular payloads, a high-power (45 Kva) generator, networked communications, and rapid deployability. The study will have to determine whether a new powerplant is necessary, or whether to use the U-2’s General Electric F118 engine, which has proved to be very reliable and economic. The TR-X would also have open missions systems (OMS) architecture, similar to the one that was recently test-flown on a U-2. A company official said that the platform would not be completely autonomous, because that would reduce operational flexibility. Adaptability must be a key characteristicto take account of as-yet unknown future needs, he added. Lockheed Martin program officials declined to answer questions from AIN on the status of the highly-classified Penetrating-ISR (P-ISR) high-altitude platform that Northrop Grumman (NG) has built and probably test-flown at Groom Lake, Nev. But two other persons with some knowledge of the program suggested to AIN that NG had missed the opportunity to get it right. At a briefing for the Air Force Association (AFA) in Washington, D.C., earlier this year, the U.S. Air Force Deputy Chief of Staff for ISR, Lt Gen Bob Otto, said that it was a challenge to develop something that could operate on Day Zero of a conflict in denied airspace, yet also be a cost-effective ISR platform for Phases Two and Three. Otto said that the Air Force was evaluating the right balance between these missions,and making decisions on investment right now.